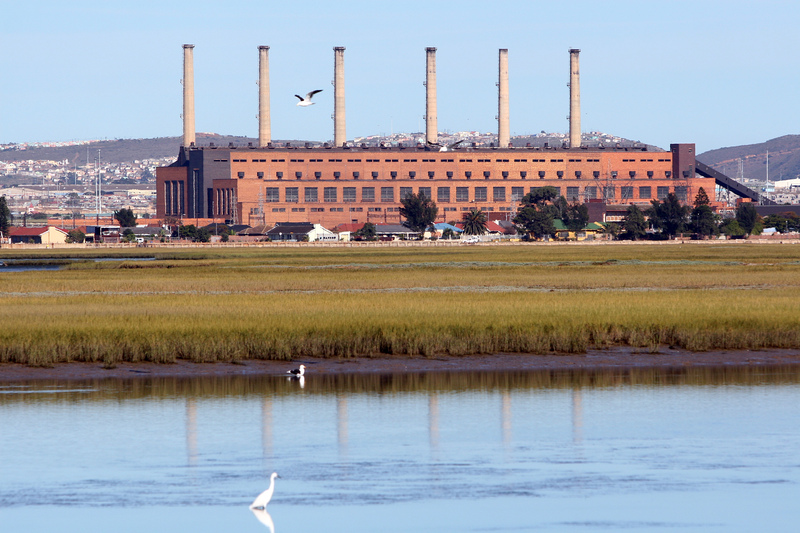 The decommissioned Swartkops power station has potential to form part of a hub of green industry and eco-tourism. One hundred years after the Boshevik Revolution, the advocates of global capitalism repeat their neoliberal mantra: There is no alternative. Socialism has failed everywhere, they argue. The collapse of Soviet communism, the integration of communist China into the global capitalist economy, and the reversal of socialist gains in many African and South American countries in recent decades have brought the socialist project into question. Is there really no alternative to capitalism? Have we really explored the alternatives and found them wanting? On the ground, it is increasingly apparent to the working class, the unemployed and the landless that global capital is not working for them. In the atmosphere, fossil-fuel-based industrialisation is posing a massive risk to the sustainability not only of our economies and our security as human societies, but to life on earth itself. So how do we get out of this mess? One response to the environmental crisis is to engage in “greening” of the economy – through replacement of energy sources which release carbon into the atmosphere with renewable energy. In South Africa , we are still highly dependent on coal-based electricity. 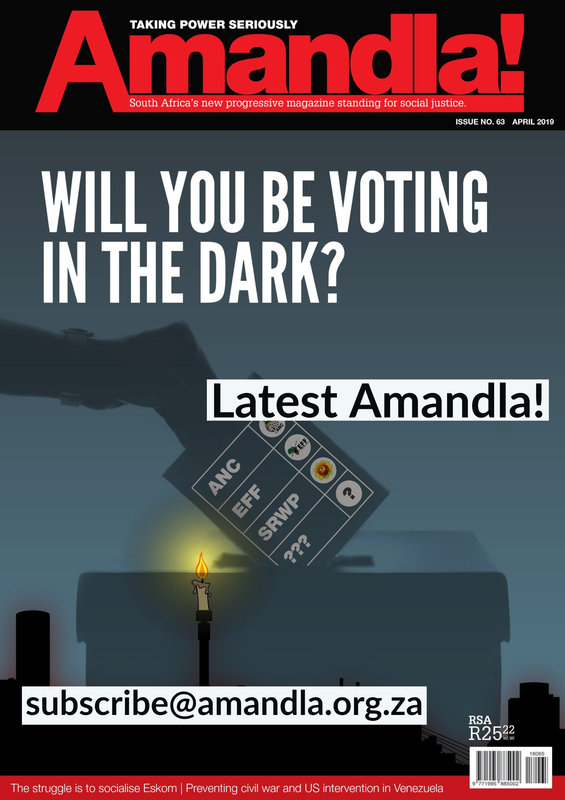 But we have a “progressive” policy which allows private individuals and companies to supply energy from renewable sources – mainly sunlight and wind – into the Eskom “grid”. The transition away from fossil fuels involves the creation of “climate jobs”. Thisis a real opportunity for the unemployed working class to use their existing skills, and to be re-skilled, for the new technologies which will drive the economy of the future. Yet at the moment it is only the big companies who benefit from this policy , and a few wealthy individuals who can afford to do so. While the technological transition is a good thing in itself, and while it may create some new jobs, it does nothing to change the relations of economic power in our society – the relations of production, as Marx would have understood it. Why can the poor not “own” the wind and sunlight, and channel them into energy sources to generate income, in the same way that big corporates can? Why can the residents of working class townships not own the means of production, and control the production of energy, in order to generate income and create sustainable livelihoods? Over the past 18 months, a team of community researchers from Kwazakhele township have been piloting such a model of sustainable economic development. This extraordinary project is a partnership between the Department of Development Studies at Nelson Mandela University, the Amandla! Resource and Information Centre (which is an affiliate of the AIDC in Cape Town), and COPAC (the Cooperative and Policy Alternative Centre). Kwazakhele is a densely-populated old formal township. In five wards, the Community Research Team (CRT) has documented the economic activity in the township, in particular in relation to food production. They have conducted a household survey to find out what residents spend on electricity and other energy sources, and on food, in particular fresh vegetables. Detailed preparations are being made for the piloting of a rooftop solar energy cooperative – one which will see residents of Kwazakhele producing energy and feeding it into the grid, and generating income which can be reinvested into the local economy. 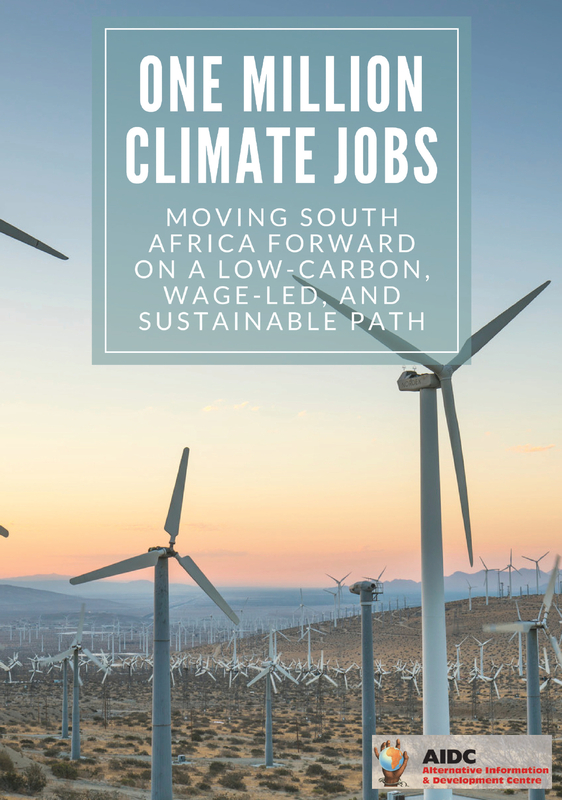 Instead of being dependent on the municipality for energy and on the government for social grants, residents will create jobs and livelihoods from producing energy, producing food, and recycling waste. Instead of grant money being spent at supermarkets “in town”, this grant money will be spent within the Kwazakhele solidarity economy. Food, energy, culture and waste cooperatives will be formed by residents to control existing resources and manage the income that is generated from these resources. The project has seen the CRT – a diverse group of energetic and committed community activists – produce a detailed feasibility study for implementation on a “gap tap” or public open space in the heart of Kwazakhele, in the development ‘corridor’ of Njoli/Daku. The pilot will test the model of a network of self-sufficient, community-owned and -managed cooperatives, integrated into a sustainable and localised economy, which will provide for the needs of residents. The vision is that residents of this working-class township will control their own resources and build their own economy, providing employment and services and making Kwazakhele a vibrant and comfortable place to live. While everyone agrees on the importance of sustainability, the residential areas in which the majority of South Africans live are unsustainable settlements. These urban townships are unsustainable in all respects: economically, socially and environmentally. Based on a mid-twentieth century model of modernisation and industrialisation, such townships were built to provide housing and services for workers in the nearby factories. Both the factories and the homes were dependent on coal-fired power stations, and on global demand for the motor cars and other products of these factories. Deindustrialisation has led to massive structural unemployment. Climate change is creating the imperative of moving away from fossil-fuel based development. A new model of sustainable local economic development has yet to be tested. Residents of the “old townships’” have little disposable income, and what they do have is spent outside of the townships. This project intends to respond to the challenge of building township economies to ensure that people can provide goods and services to their own communities, creating employment and livelihoods in self-sufficient local economies. However, this is being done in such a way that it also creates sustainable and resilient communities in the environmental sense of the term. This is because the overriding development problem that underlies the project is that of climate change. Recent projections indicate that not the countries of Southern Africa will suffer most from the effects of global warming – specifically drought, decreased food production and water shortages. But they also indicate that coastal cities such as Nelson Mandela Bay are at risk of devastating sea-level rise. Low-lying townships, such as Kwazakhele, which is adjacent to the Swartkops river, stand to see flooding of certain areas. The social and economic problems caused by climate change, combined with the existing problems of poverty and structural unemployment, seem overwhelming. But there are possibilities to respond to these challenges in ways which can create a resilient, sustainable and good quality of life for residents of urban working class townships. The project will demonstrate that the transition of townships into localised and largely self-sufficient economies can provide a radical and sustainable solution to these problems. 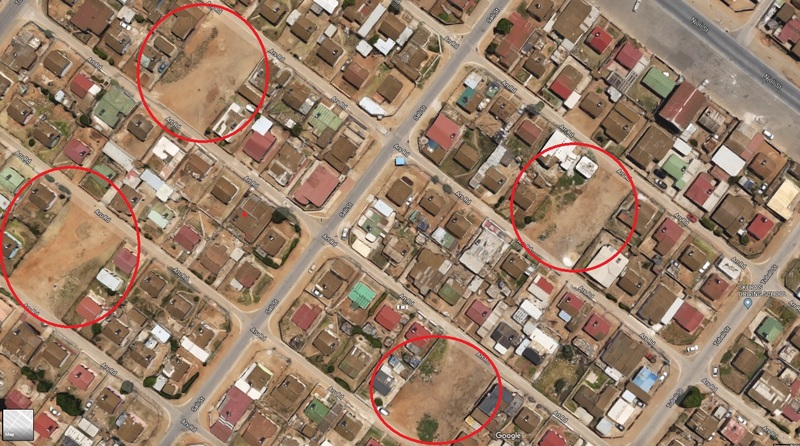 The idea of this project is to pilot a sustainable localised economy in the “old” townships of Nelson Mandela Bay. It is not a single project, but rather an action research project involving the residents in forming viable and sustainable development initiatives which are integrated into the overall development plan for the Metro. The possibilities include the use of 120 “gap taps” for food and energy production, waste recycling and waste-to-energy/waste-to-plastics facilities, fresh produce markets, and locally-owned restaurants, food outlets and entertainment facilities. All such initiatives would be owned and managed by residents of the area, in an interlocking set of neighbourhood cooperatives. In addition, the decommissioned Swartkops power station – a magnificent piece of modernist infrastructure on the edge of Kwazakhele – and Pond 6, a wetland which forms part of the Swartkops estuary – have potential to form part of a hub of green industry and eco-tourism. Such initiatives could transform an old and poverty-stricken township into a vibrant and productive residential area, with a high quality of life for all who live there and own its resources. In 1916, on the eve of the Bolshevik Revolution, Rosa Luxemburg wrote: “Bourgeois society stands at the crossroads, either transition to Socialism or regression into Barbarism.” The slogan of the new ecosocialist movement is, appropriately, “Ecosocialism or Barbarism”. The idea of ecosocialism is more than a slogan, however. It is a practical alternative to the current economic system, one which involves decentralised power, control of resources by ordinary people, and a sustainable way of meeting our real needs for food, water, energy and shelter. It is essentially about the democratising of resources, and about putting economic power as well as decision-making in the hands of the people. If we do not build this alternative now, it may soon be too late. As a born and bred native of KwaZakhele, I think the project is indeed welcome news. Just some hours ago I was listening on Youtube to an African-American (sadly his name has just slipped from memory) man talking about solidarity economy in Jackson Mississipi where ordinary residents work on co-operatives. I love the fact that Professor Cherry is not into arguing about the merits and demerits of capitalism versus socialism but engages in a project which is intended to help the people. Time for talk is over. Go for it. Gap-taps sound like an advanced use of the UK allotment system. Even these are under threat as developers eye the building potential on the land. Hi I’m most worried about the bettering of the future stakeholders which are the generation that has link to the old generations bad habbits and the overthrow of drugs at the time of action. finding a campaign that would be willing to show face and care is hard! I’m an addict of 13years smoking math(tik-mandracks-rock) you can ask people recommended by government structures here what is (skitsefranier)(spelling) they wont know! And ask the general public do they want them!? This township is hanging by a thread and there’s a lot that is good here.